Mix all of the dry ingredients in a large bowl. 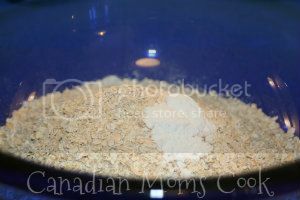 Mix all of the wet ingredients (plus brown sugar) in a medium sized bowl. 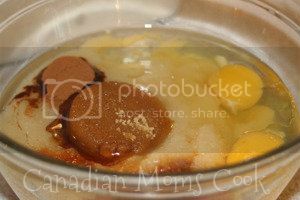 Gently fold in the additional ingredients to the mixture. 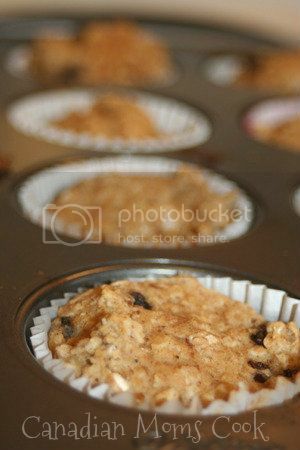 Fill paper lined (or greased) muffin cups with batter. Bake for 25 minutes or until tooth pick comes out clean. 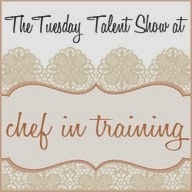 Makes approximately 16 medium sized muffins or 12 large sized muffins. If you are looking for fluffy, sinful muffins, this is not the recipe for you. However, these muffins tasted amazing with a slight hint of apple and a dense texture. Because they are healthier muffins, you won't get that fluffy consistency as much. 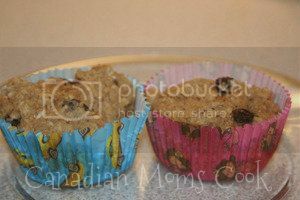 The kids and I ate these muffins up in no time! They freeze well for lunches too. 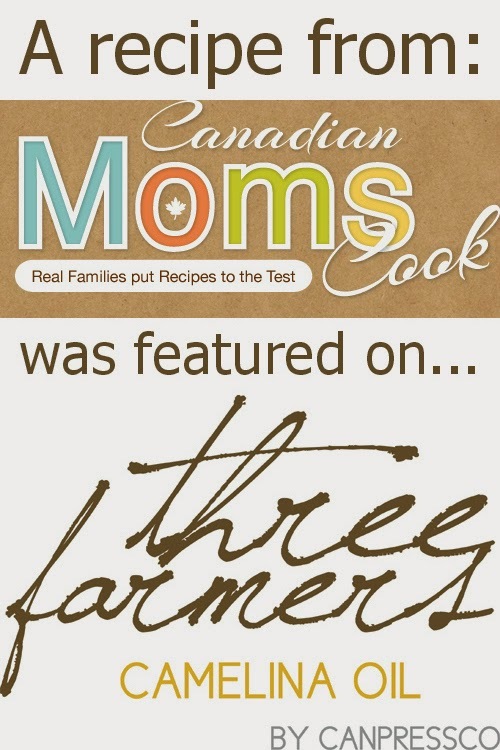 Butter Tarts are considered one of only a few recipes of genuinely Canadian origin. 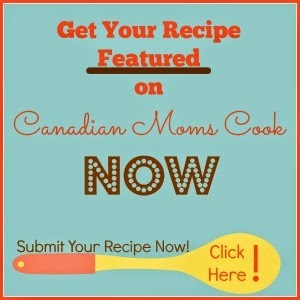 The earliest published Canadian recipe is from Barrie, Ontario dating back to 1900 and can be found in The Women’s Auxiliary of the Royal Victoria Hospital Cookbook. While there are many recipes to be found online, I find many of them to be too fancy, I think simple is best for butter tarts, I don't even like raisins or walnuts in mine. 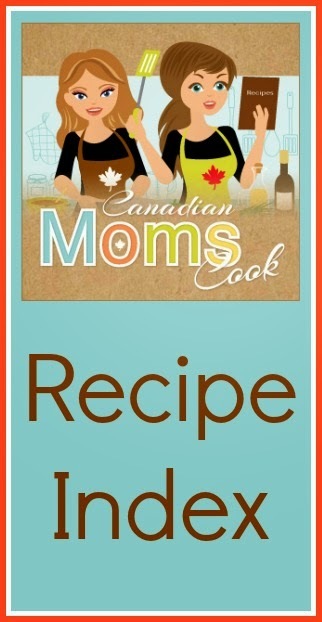 I've had this recipe for years and years, I do not know the original source. As I said, these are my favourites! 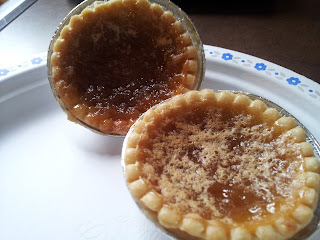 I've bought many a butter tart in the store or at markets and many of them just don't do it for me. These ones are gooey, soft and above all, tasty! Kiddos love them too, and there's nothing for sticky fingers to pick out of them (but feel free to add raisins, walnuts, pecans, etc.. if that works for you). The first recipe I am dying to share with you is No-Knead Bread. I must have been living under a rock, but I admit I did not know this even existed! 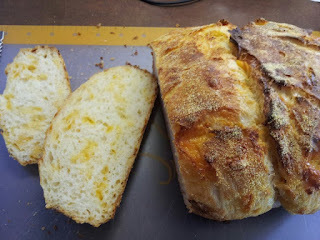 I will soon share with you another recipe I had been using for bread with very little kneading, but this is even easier and makes the best looking bread I have ever seen! Recipe found online at Simply So Good. There are also many You-Tube videos featuring this popular recipe, while this video is a little drawn out I did appreciate the folding tip to get the nice split on the top of the bread, and this looks to be the video where the recipe originated from. 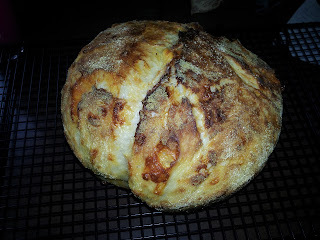 I followed the recipe and timing from Simply So Good, I do not have a cast iron pot unfortunately, but I used a stonewear/ceramic pot with a tight lid that worked just fine. 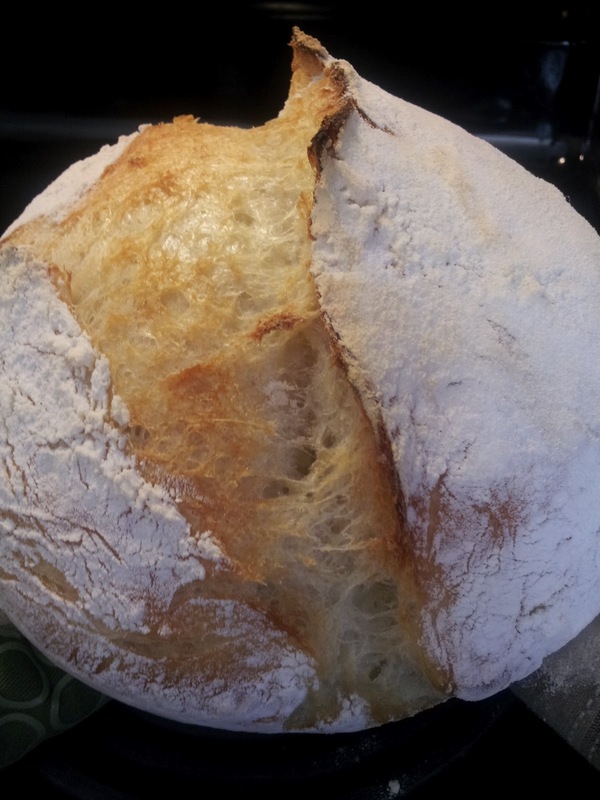 I think the key is just to have a tight fitting lid as you are steaming the bread, and that's where the magic happens! A family favourite and the recipe I will be famous for among friends I think! These loaves would make BEAUTIFUL gifts as well and truly only takes 15 minutes of your time (plus baking time). I'm going to try minced garlic in my next loaf, the flavour ideas are endless, what kind would you make? ?